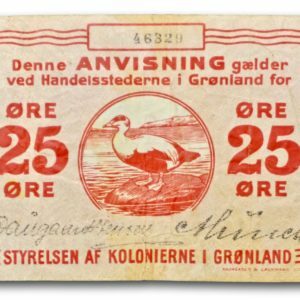 Greenland, 25 øre dated 1913. Grading: VG. Reference: Cuhaj (red.) 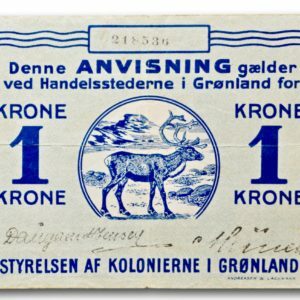 11 b.
Greenland, 1 krone dated 1913. Grading: F. Reference: Cuhaj (red.) 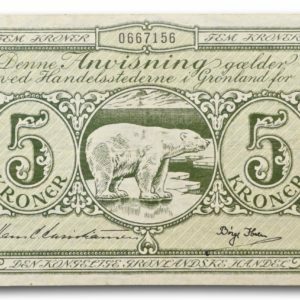 13 b.
Greenland, 5 kroner dated 1953. Grading: F. Reference: Cuhaj (red.) 28. 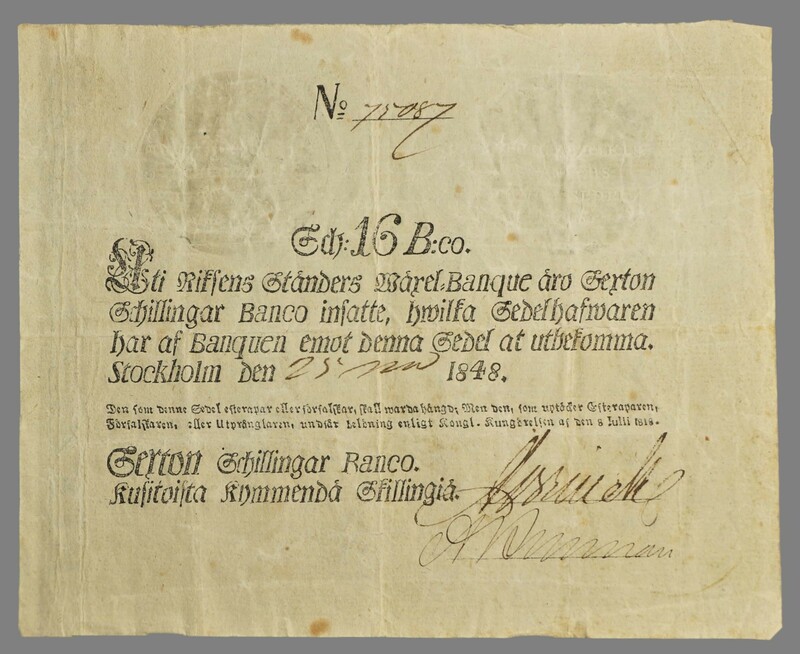 Sweden, 16 sklling banco dated 1848. Grading: F/VF. No. 75087. 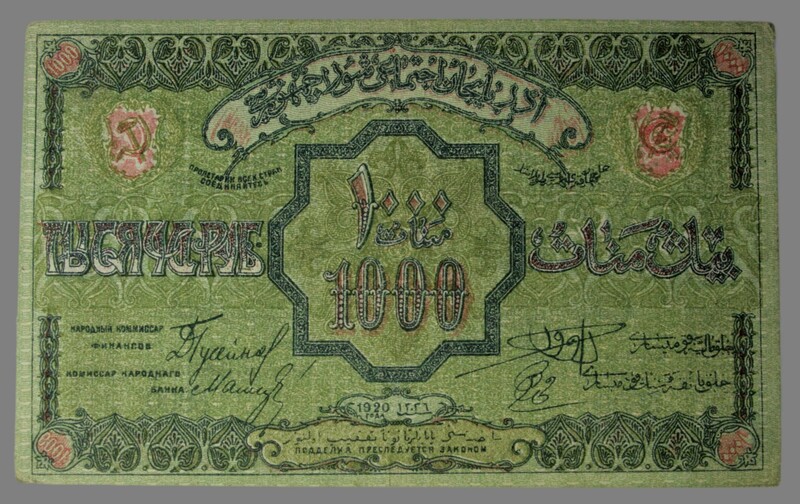 South Caucasus (an area that covers Armenia, Azerbaijan and Georgia today), 1000 roubles dated 1920. Grading: XF. Reference: P.S712. 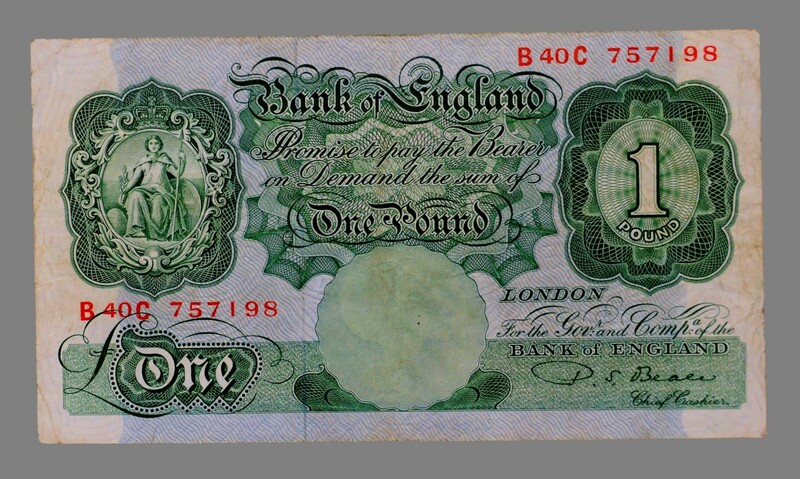 England, 1 pound dated 1949-1955, signed by P.S. Beale. Grading: F. Reference: Cuhaj (red.) 369. 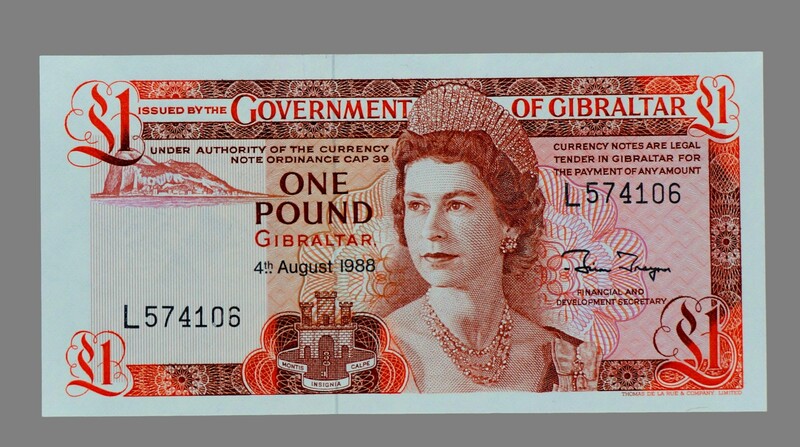 Gibraltar, 1 pound dated 1988, according to decree of 4 August. Grading: XF / Mint State. 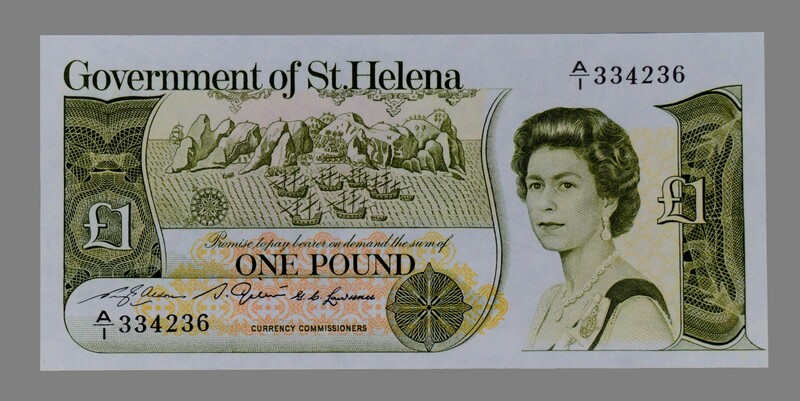 St. Helena, 1 pound dated 1982. Grading: XF / Mint State. 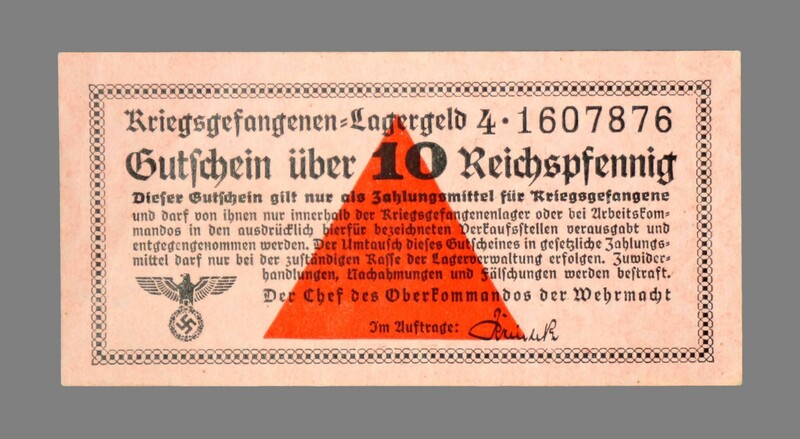 Germany, 10 reichspfennig dated 1939-1945, printed to be used in German prisoner of war camps. Grading: XF / Mint State. 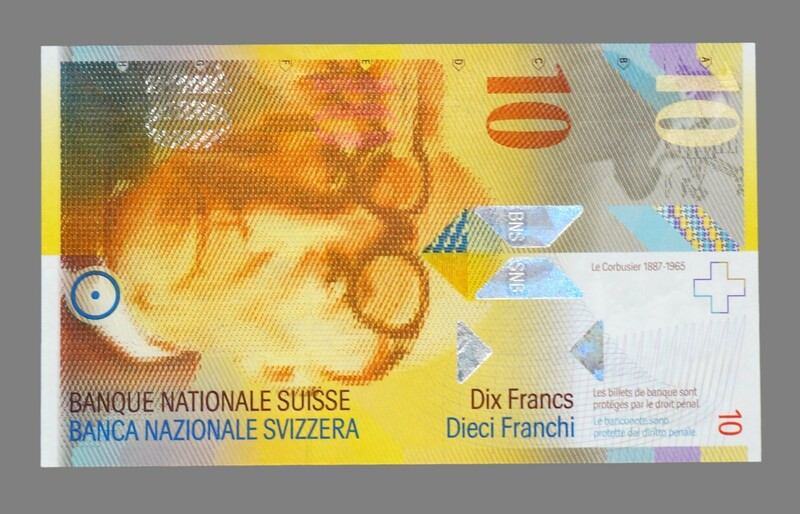 Switzerland, 10 francs dated 1997, according to decree of 8 April. Grading: Mint State. 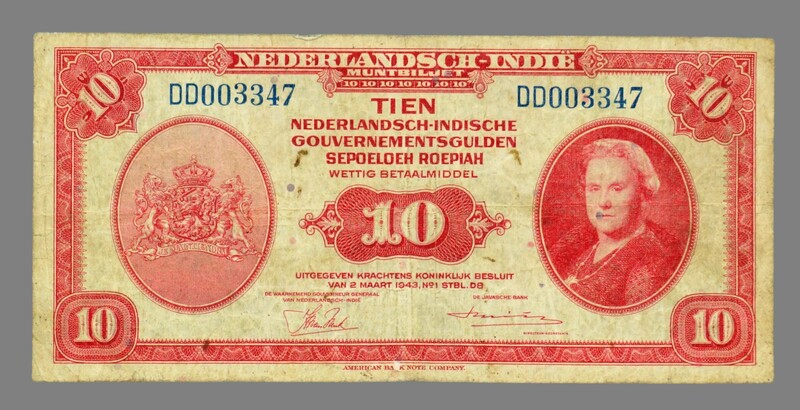 Netherlands India, 10 gulden dated 1943, according to decree of 2 March. Grading: VG. Reference: Cuhaj (ed.) 885:114. 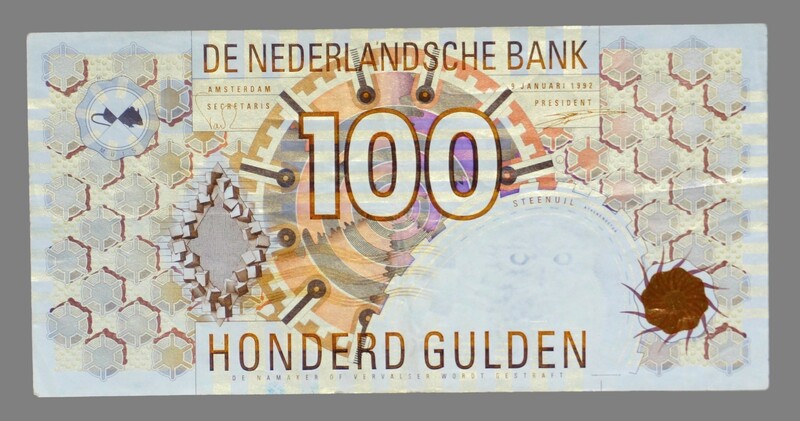 Netherlands, 100 gulden dated 1992. Grading: VF/XF.